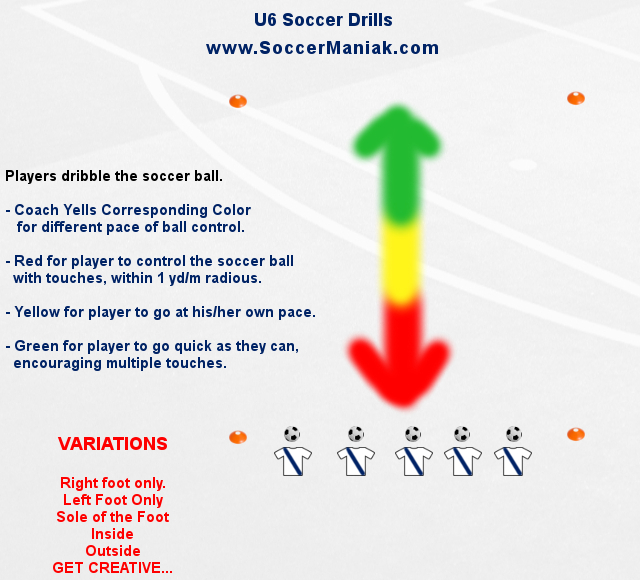 Soccer drills with the ball to improve coordination and skills with the soccer ball. 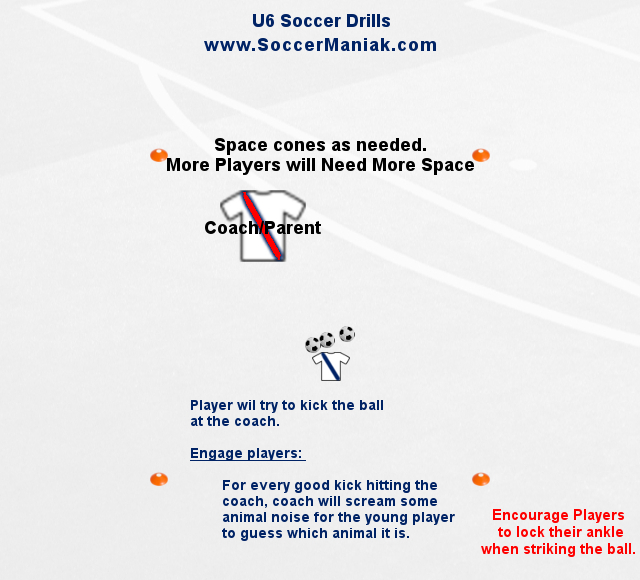 Time is the biggest factor in young player development. 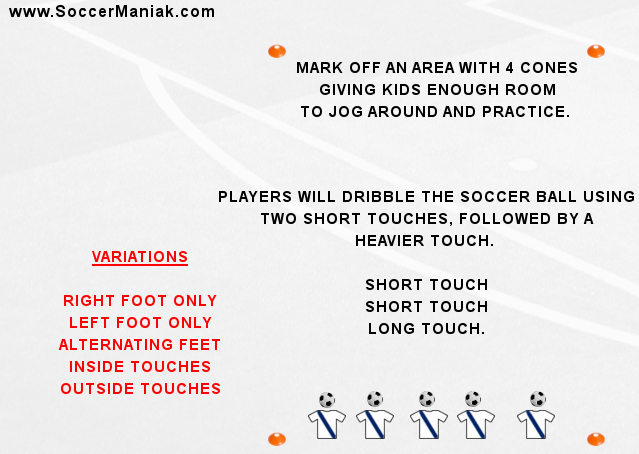 More frequent contact with the soccer ball from an early age, the better that player will grow up to be. 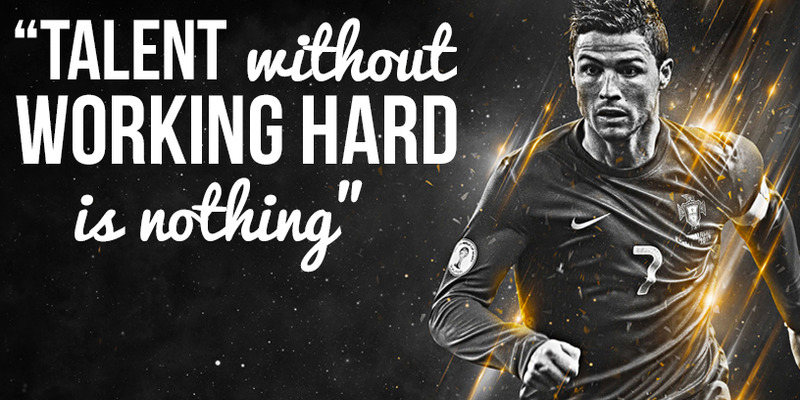 10,000 hour rule of becoming great at anything. 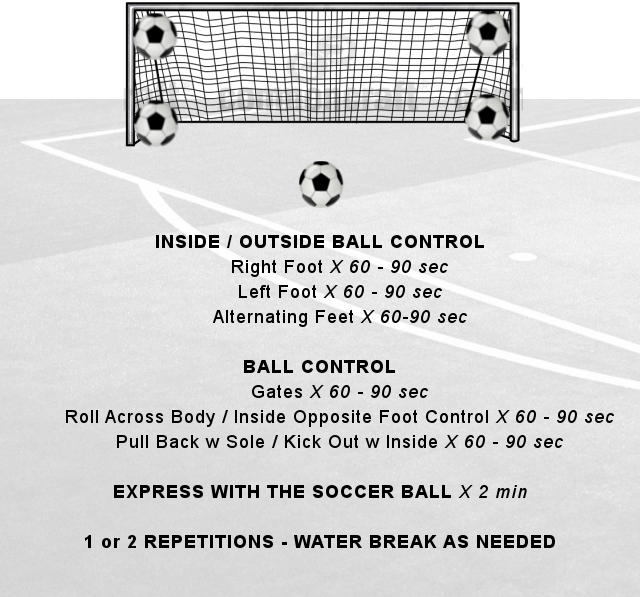 Here is a 15 min workout with the soccer ball to get those touches improving. 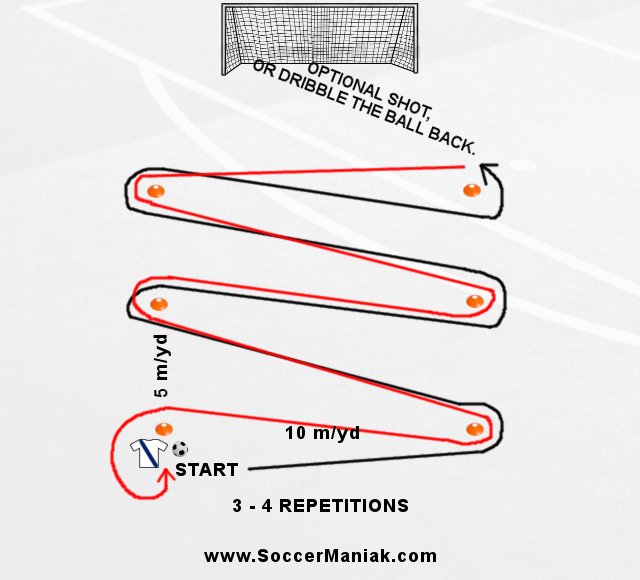 Juggling should be a daily exercise, or the start of this 15 min ball control training session. 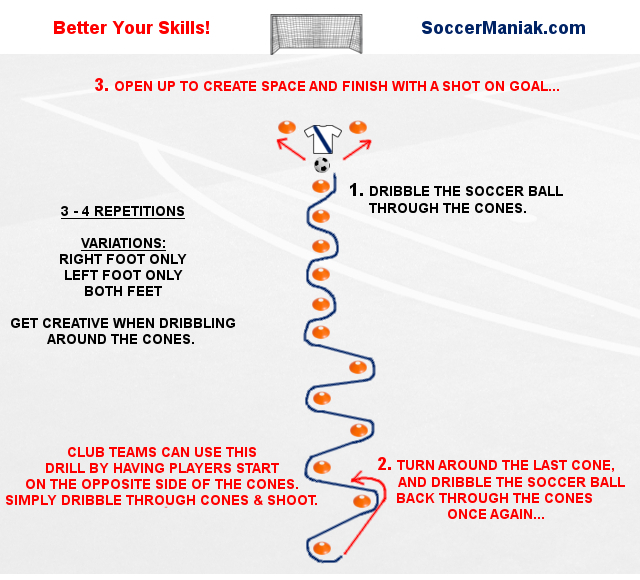 Focus on the technique, and not speed. 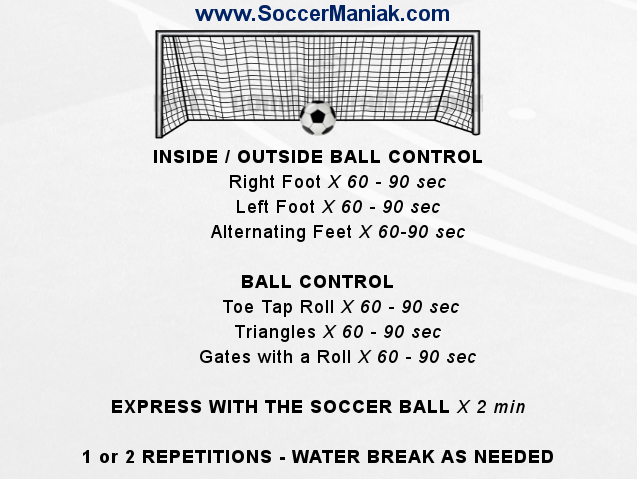 Control the soccer ball in a zig zag motion across the body for 60 - 90 sec. 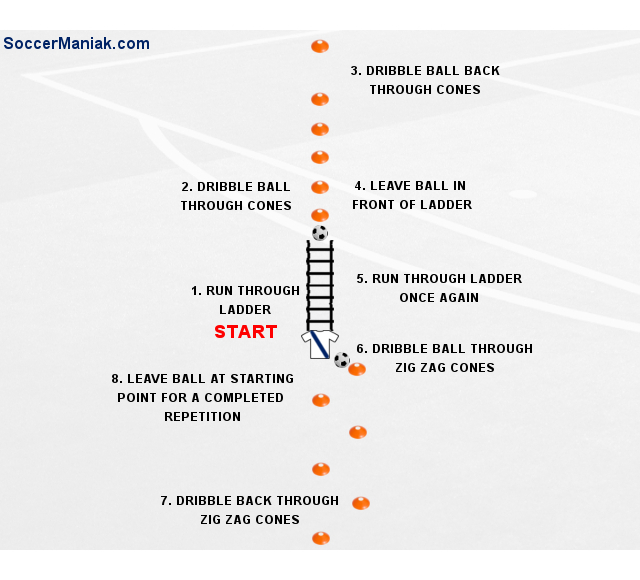 NO STOPPING! 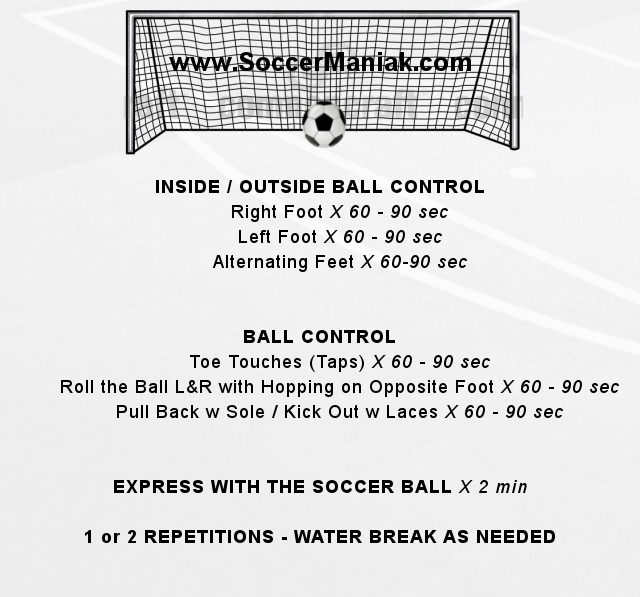 Control the soccer ball using the inside of both feet. 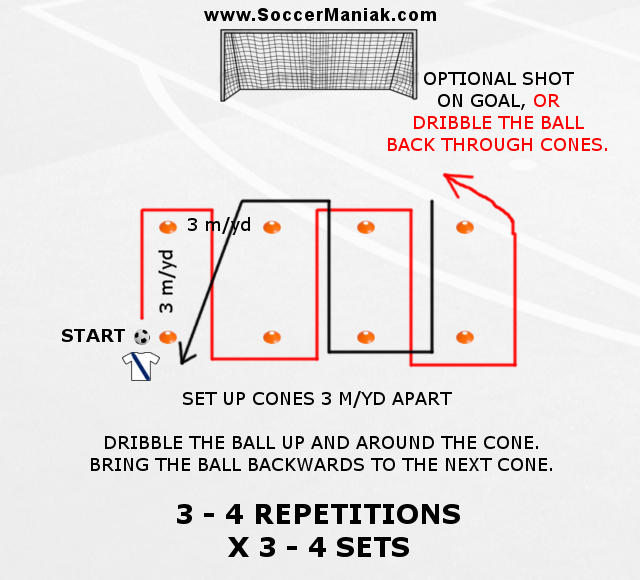 Keep the soccer ball square with your shoulders and make contact with the soccer ball using the inside of the feet. 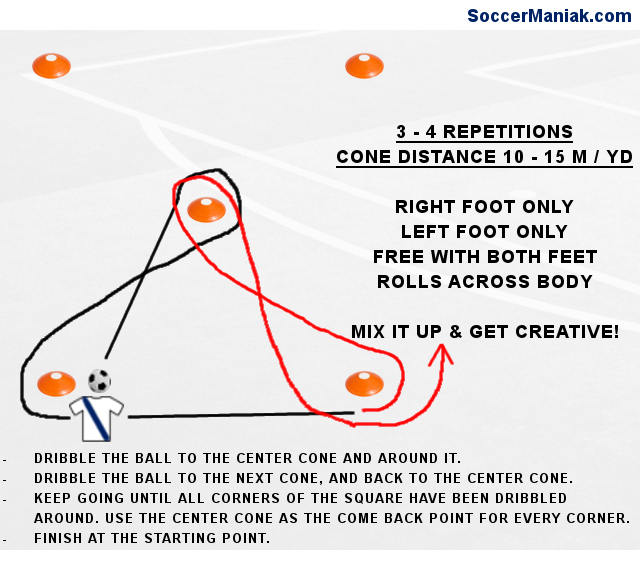 Roll the soccer ball with the right foot across your body, control the ball with the inside of the (opposite) left foot. 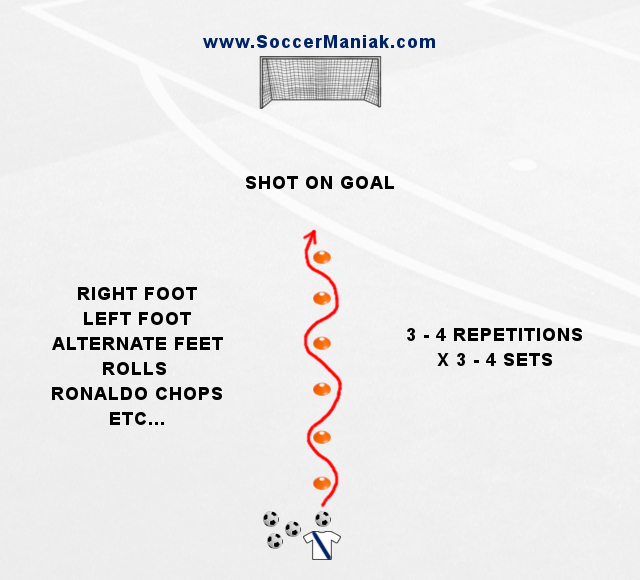 Roll the ball across body again with the sole of the left foot and control the ball with the inside of the (opposite) right foot. 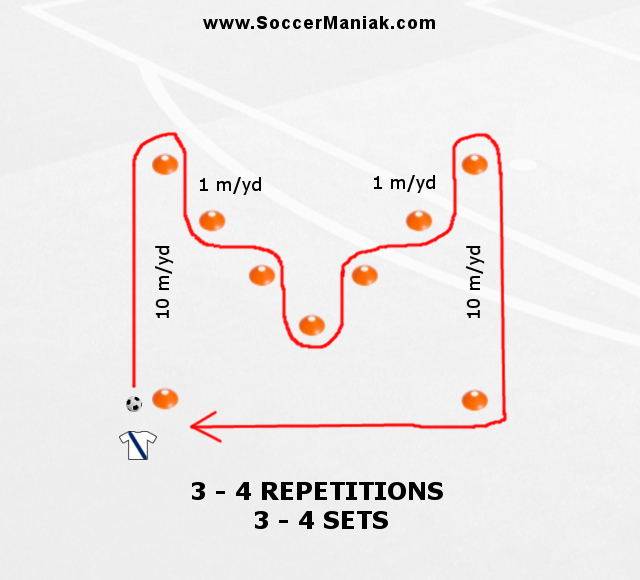 Find a rhythm and continue for a set time. 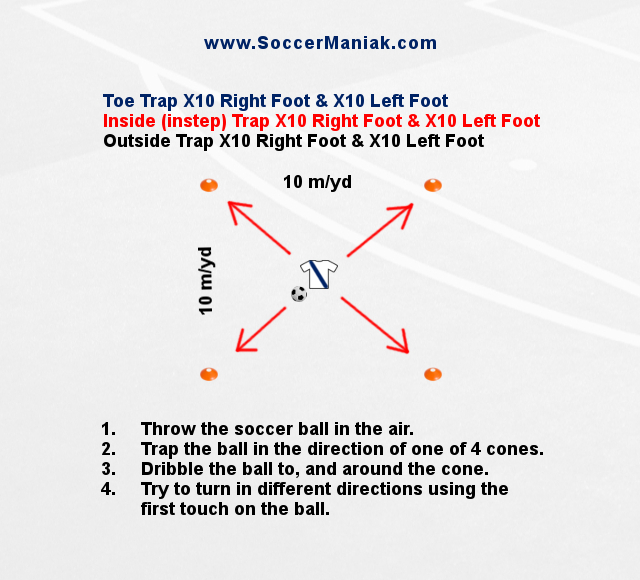 Use the sole of the foot to pull the soccer ball back, and then kick the ball out with the inside of the same foot. 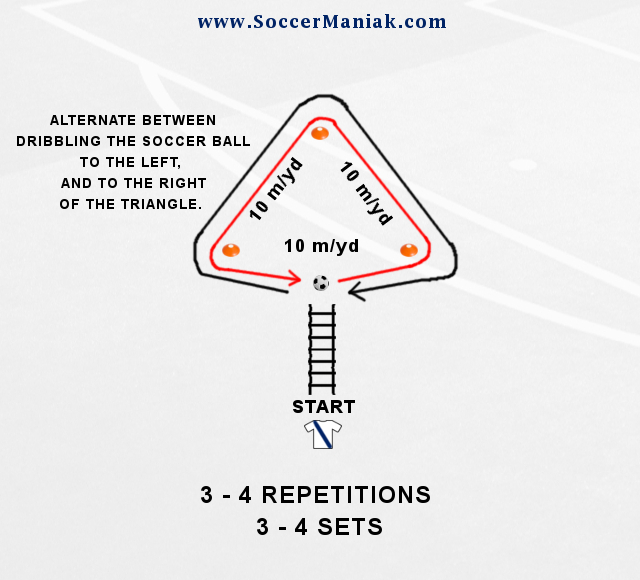 Continue with the same foot, or alternate feet. 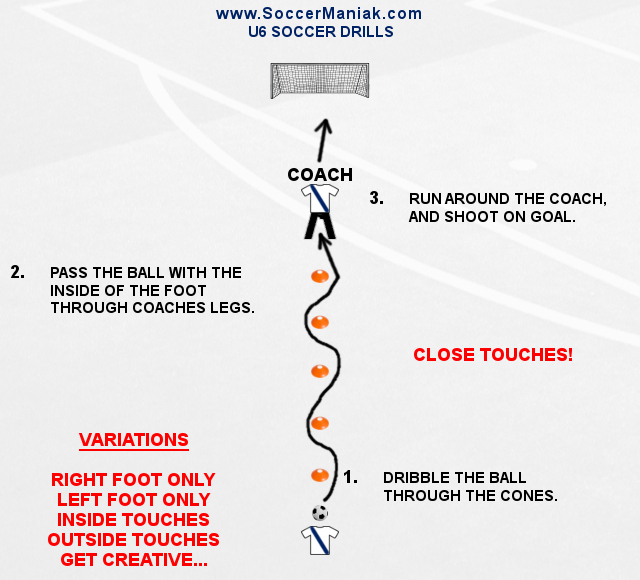 It is important to lock your ankle and point the toes up when kicking the ball out.